Sporting OSA – The Polish Wasp! The OSA was a Polish scooter (or Skuter in the native Polish – who knew!) manufactured by WFM (Warsaw Motorcycle Factory), between 1959 and 1965. Taking a cue from Piaggio, Osa is the Polish word for Wasp (as Vespa is in Italian of course). It was a well engineered machine, and performed well in sporting events, particularly off road rallies such as the famous Scottish 6 Day Trial (Top pic). UPDATE & CORRECTION: Reader Redstar-TV points out the top pic is NOT of the Scottish 6 Day Trial, but the International 6 Day Trial in Bad Ausee in the Austrian Alps. Thanks mate; I make more than a few mistakes and am always grateful for my readers putting me right. I also don’t always click the “allow comments box” which is off by default… so if you can’t see a way of commenting get in touch through the Contact page. Anyway Redstar-TV’s excellent Tumblr blog Scooter-Pooper is well worth checking out for some great Lambretta (and other scooter images). There is a good following behind the Osiara are indeed the Polish version of Lambrettista, and there is a great club dedicated to the preservation of these machines, you can even get a Osa 2014 Calendar if it is your wont! The line-up below show a fine range of Osa Skuters at one of their events. 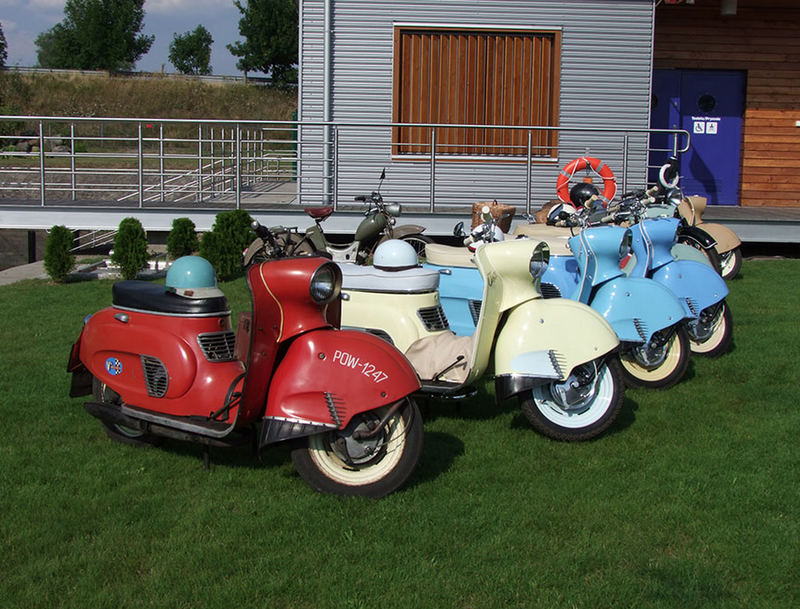 This entry was posted in Not a Lambretta, Scooter Sport and tagged OSA, Polish, Scottish 6 Day Trial, WFM by crocodilejock. Bookmark the permalink.